Nani bought a small beach house, built in the typical square colonial style set in part of a denuded forest.The house is situated in original coastal forest with direct access to the sea, about a hundred metres unswept path down to one of the best and least populated beaches in Kenya. After cleaning the rubble which the tenant had left and encouraging the trees to return, painting murals and smoothing corners, she was still not satisfied in the square house and decided to build a tower to overlook the forest and see the ocean as well as the creek. Doum Palm contains three double bedrooms and several other places where single guests can sleep. There is a living room, dining room, three bathrooms, a kitchen and sleepy verandah for outdoor relaxation. 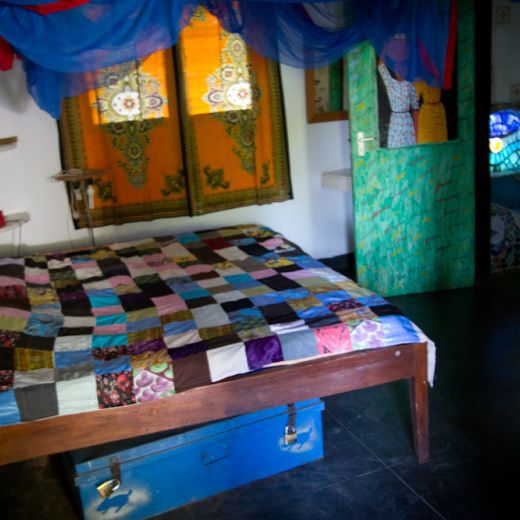 Upstairs one 4-poster-Swahili double bed with en suite toilet and laundry room, beautiful mosaic balcony with sea view. 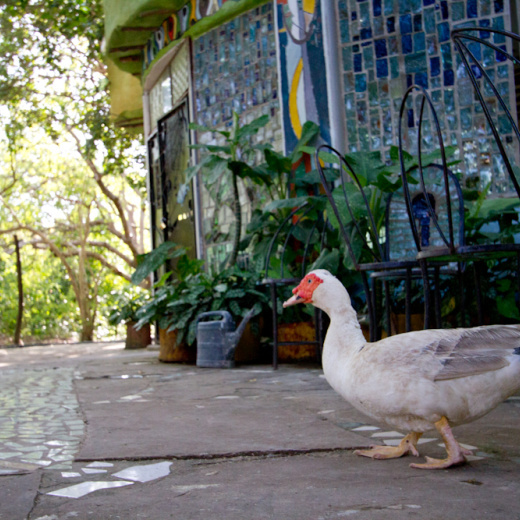 The house, once derelict is continually being upgraded; glass, murals and sculptures abound.